Polish President Anjrzej Duda called out fake news and tweeted that his wife did, in fact, shake hands with President Donald Trump at the G-20 summit after a video circulated the internet that appeared to show her snubbing Trump. 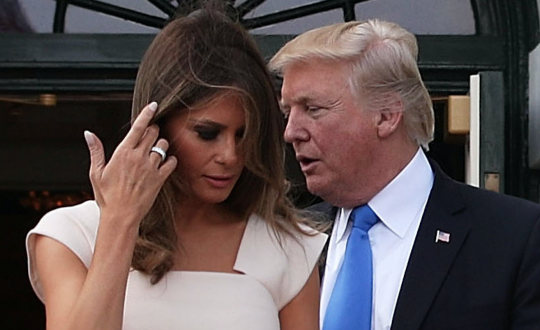 "Contrary to some surprising reports my wife did shake hands with Mrs. and Mr. Trump @POTUS after a great visit. Let's FIGHT FAKE NEWS," Duda tweeted Thursday. NBC News reporter Bradd Jaffy tweeted out the full video of Duda's wife shaking both Trump and Melania's hand on Thursday, although some outlets made it seem like she never did or cut off video clips before she shook the president's hand. A two-second video went viral on Thursday that appeared to show Polish first lady Agata Kornhauser-Duda rejecting Trump's handshake and shaking Melania's hand instead.